E46 M3 Market Sales Tracker: Please Report Your Purchase or Sale! Total Produced: 45,000+ - Years Produced: 2001 to 2006. 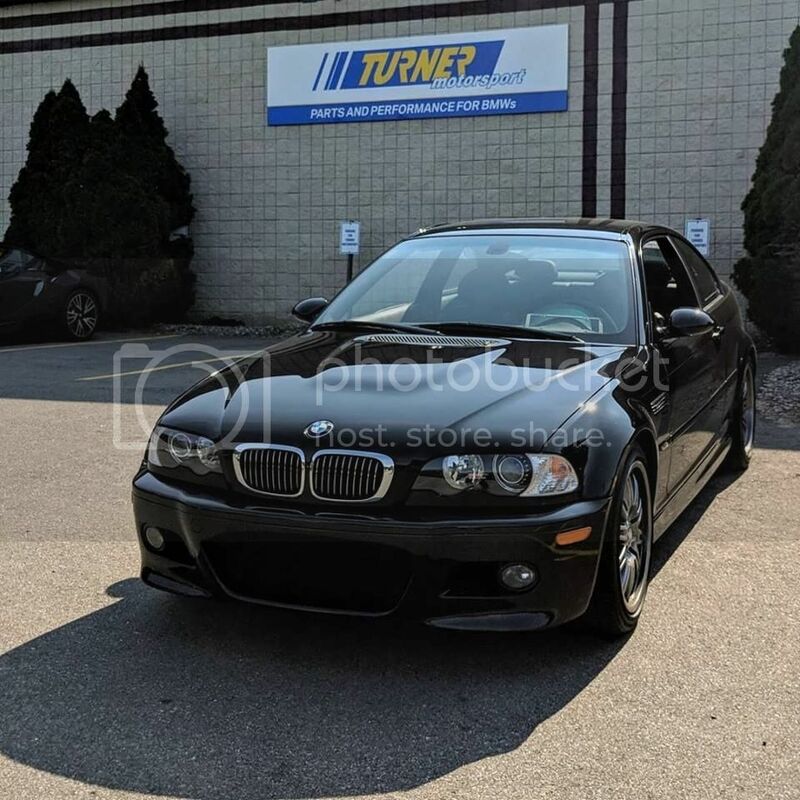 Re: E46 M3 Market Sales Tracker: Please Report Your Purchase or Sale! Overall Condition (Excellent, Good, Fair, Poor): Mechanically excellent, cosmetically excellent. Some underside corrosion from living for a couple years in the NE. Any unusual items that affected value? : Some underside corrosion from living for a couple years in the NE. IR / IR color combo not for everyone. With Whom Did You Complete the Sale? 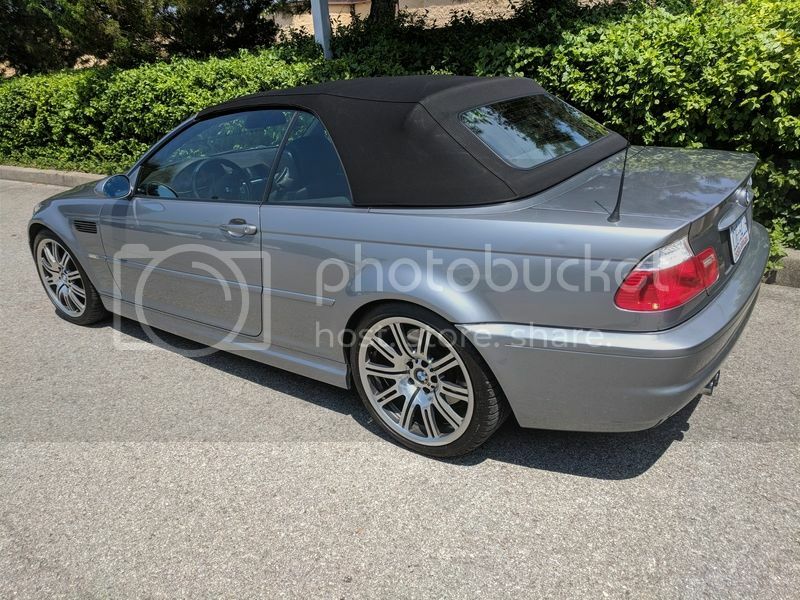 (Private, BMW Dealership, Other Dealership, Auction): Private seller working through a Dealer who put it on BaT for a cut. Seller Asking Price: I think they originally listed for $31,000. Then tried to sell on eBay but reserve wasn't met. Other Comments (amount of time in the market, successful negotiating tactics, words of advice, pictures, etc. ): I was in the market for months, made several offers that were too low, but eventually persistence and patience paid off. 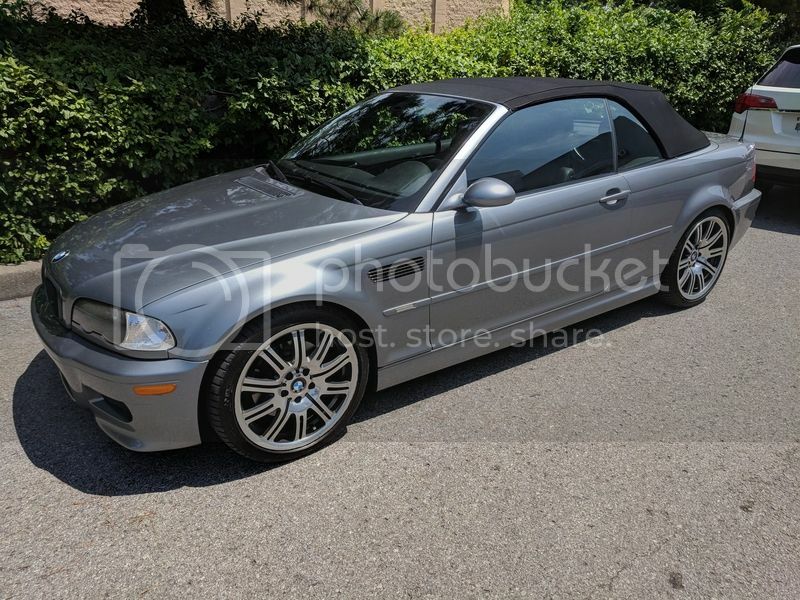 I found a sub 50k mile E46 6-speed for <$26k! .At this point I moved to another E46..Very Nice IR/IR E46 let us know how clean it is when your car arrives. Interesting... it's pretty clear they had high aspirations of pulling in some EAG like numbers on this car (above $30k) but after months of trying finally just let it go. I'm 90% sure they dropped the BaT reserve at the last minutes of the auction just to get rid of it. I really didn't think it would sell at my bid as the timer ran out. I don't suppose you would be willing to email me the PPI summary, would you? They included this receipt along with the auction. Did this cover all the findings? Last edited by johnnytx; Mon, Jul-16-2018 at 03:57:26 PM. Coupe or Convertible? : Coupe every day. Overall Condition (Excellent, Good, Fair, Poor): Excellent Mechanical, Very good cosmetic (One scratch on top of boot). Any unusual items that affected value? : Beisan VANOS, all new suspension, belts and pumps new, reinforced sup with foam and plates, Rear shock reinforced to prevent lobbing rods. SS headers and all lines. Needs new tires, wheels are fine, but maybe a tad big since it is lowered. Owner is a big track racer with a BMW master tech buddy who did all the maintenance. Other Comments (amount of time in the market, successful negotiating tactics, words of advice, pictures, etc. ): Watched for about two months, at some point he lowered a grand and I contacted him. High miles are not much of a worry for me with how much love this guy put into it. Please bully me for my decisions if I deserve it. Under Warranty? (if yes, please indicate type and remaining coverage): Yeah Right! Drove this car from FL>NE, about 1100 miles, this car never once did anything except run like a top! Car had two previous owners and was found to be in excellent condition, what a relief as I only had one way plane tickets from Nebraska to Florida. This is my first BMW, and first "nice" vehicle and boy I am loving it! I look forward to learning about this vehicle and being a part of this message board! Last edited by Cubieman; Wed, Jul-18-2018 at 01:18:30 AM. Major Options: Sport package, nav, brand new Michelin Pilot Sports, new battery. Overall Condition (Excellent, Good, Fair, Poor): Good. Always garaged. Any unusual items that affected value: Salvage title from accident in 2012. Needed horns, fog lights, washer fluid reservoir and pump, drivers side seat belt sensor, drivers side tie rod, no maintenance history. Other Comments (amount of time in the market, successful negotiating tactics, words of advice, pictures, etc. ): A high risk high reward out of town transaction. Right now, I'm ecstatic with the car I got. It looked like the seller mistakenly had advertised the car in the Atlanta Craigslist, when the car was located in Nashville. He also mistakenly labeled it an automatic in the ad. I got a PPI done at BMW of Nashville. I don't think they did a good job, because they failed to note that the horns didn't work. I bought it cheap knowing I would have to invest a little in maintenance. Last edited by Flewbye; Sun, Jul-22-2018 at 02:11:05 AM. Well, you certainly won’t be flipping it for a profit, Wheeler Dealer style. But if Humpty Dumpty was put back together at all, it seems you bought a whole lot of car for that money. Seller said he had it listed for a while and kept dropping the price. Definitely needs maintenance but I knew going in I’d have to put some cash toward repairs and bringing maintenance current. Came with Megan exhaust, tien springs, CSL style wheels, k&n intake. Last edited by racee78; Wed, Jul-18-2018 at 04:04:58 AM. Under Warranty? (if yes, please indicate type and remaining coverage): none. Any unusual items that affected value? : 1 owner 2 window sticker 3 keys all books & tools,service records from new with all mileage account for to date, clean car fax ,auto check still has the original factory clear bra package on hood fenders bumpers, clear bra is starting to yellow, completely stock, car has been store for the last 5yr driven less then 3k, vanos inspection pass and list other thing that pass during extensive PPi, no subframe crack or reinforcement done. Seller was great to work with. Last edited by Analog///M; Fri, Oct-12-2018 at 02:17:18 AM. Other Comments (amount of time in the market, successful negotiating tactics, words of advice, pictures, etc. ): Negotiated over the phone, flew out to take possession and close the sale then drove home the 1011 miles without a hitch at all. All times are GMT. The time now is 08:18:26 AM.